Welcome to the Kabbalah Coach™ store! You’ve found a resource for transformational content that speaks the language of your soul while providing practical solutions to your every-day challenges. My team and I created this page to help you navigate your way around. The Kabbalah Coach store offers courses from our flagship program The Method as well as a host of Audio lectures. Our categories will help you select the course or lecture that will be most beneficial to you right now. All of our content fits into what we call SQ, IQ, EQ and BQ (that’s Method “code” for spiritual, intellectual, emotional and behavioral intelligence.) Browse around. I know you’ll find something to ignite your spirit and help you live your life in a more authentic, meaningful and joyous way. Be inspired. The SoulSpace audios shed light on soul; purpose; faith and the supraconscious to help you recharge your life. S-T-R-E-T-C-H your mind. 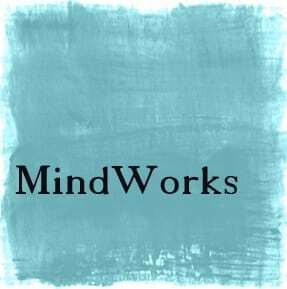 The MindWorks audios present in-depth study of ancient and contemporary texts, all with an eye to your personal transformation. Open your heart. The HeartZone audios help you build positive relationships – with others and yourself – so you can live with greater joy and purpose. Come shift. The ActionArena audios deal with the nitty-gritty of your daily life – from parenting to prayer and beyond – in a practical approach that delivers change. The Method offers a practical approach to personal transformation rooted in ancient mystical teachings. It is comprised of twenty courses which culminate with the option of becoming a certified Kabbalah Coach. The courses were originally taught in the order listed below. While that is what we most highly recommend, you can take them in any order you desire. Introduction lays the groundwork for the benefits of The Method to take hold in your life. Tree of Life analyzes the mystical Tree of Life from many angles so as to present a complete picture of the human personality. Identity lies at the heart of The Method, enabling you to identify and connect with your core self. Purpose resents a unique perspective on service and action as a means to reaching your highest purpose. Creation explores how the details of creation parallel your inner being and how you can use this knowledge to heal and live a more authentic life. Vision uses the first instruction spoken to Abraham as a six-fold template which constitutes the emotional core of The Method. The template is processed through profoundly effective coaching and steps. Freedom addresses the origins of self-exile and presents Tribe Work as a means to understanding our inner voices and access freedom. Connection builds healthy, meaningful connection on the foundations of the preparatory internal work set out in the previous courses. Actualization brings together the previous courses with the Roadmap to help you manifest the growth you have attained through The Method in the here-and-now. In particular, you learn how to work the Purpose Quadrant in greater detail along with time management techniques. Certification enables you to spread the light and generate abundance for yourself. Having completed all twenty prerequisite courses, participants are trained under direct supervision and in small groups to become certified practitioners of The Method. Click here to see the full curriculum and here to go directly to the store.